• aspect of occupational safety and health and environmental protection will be given equal emphasis with other policies. • the resources, training and time will be allocated in accordance with the requirements of ensuring a safe and and environmentally friendly work system. • foster a safe and healthy work culture and preserving the environment among employers and employee. Candidates who are interested can write in (resume & surat iringan) Human Resource Division (HRD) or email to hrd@niosh.com.my. 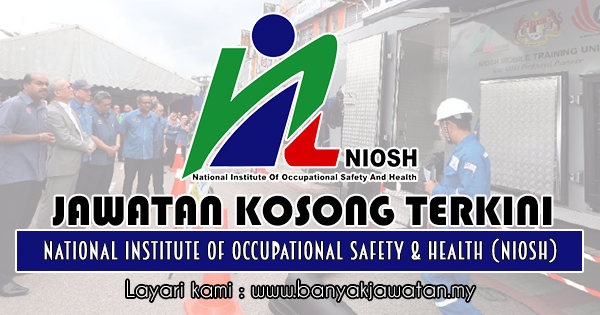 0 Response to "Jawatan Kosong di National Institute of Occupational Safety & Health (NIOSH) - 24 Julai 2018"